Silent Hill: Shattered Memories (2010). My main role as environment artist was to be in charge of all the"normal" world levels. I would create the first benchmark levels to set the style and mood. All levels were streamed so the texture and polygon budgets had to be managed carefully for the Nintendo Wii. They had to be efficient as well as looking real and atmospheric. Lightmaps were created and baked. Textures were balanced to work with the torch light to dramatic effect. 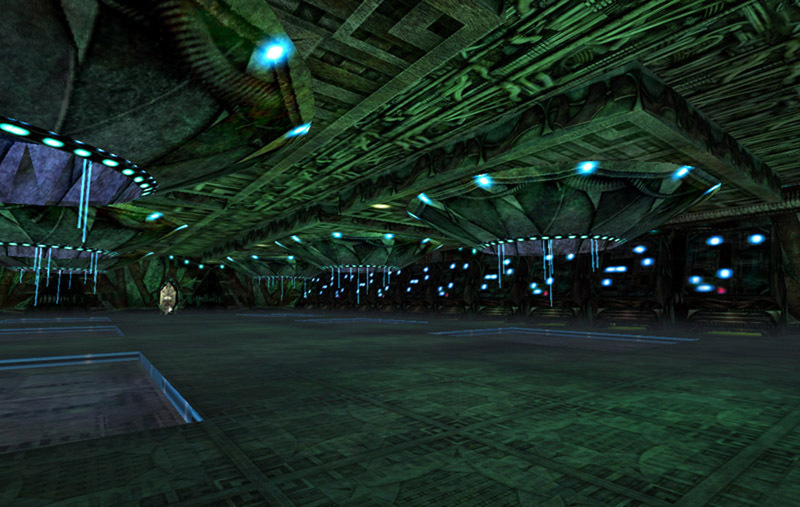 The levels were assembled and PVS split efficiently, then added with props and interactive objects in Renderware. When each benchmark level was created for a zone they were sent together with variant greybox levels for outsource companies to work on which I directed to as close to final quality as possible. I would then finalize these to required quality. Silent Hill Shattered Memories has won numerous awards and it is currently rated 8.6 "Editors Choice" on IGN. (Wii). I also directed several outsource companies to convert the entire game levels to PSP and PS2 on time and to standard. These images show just some of the levels I worked on. Overlord Dark Legend (2009). 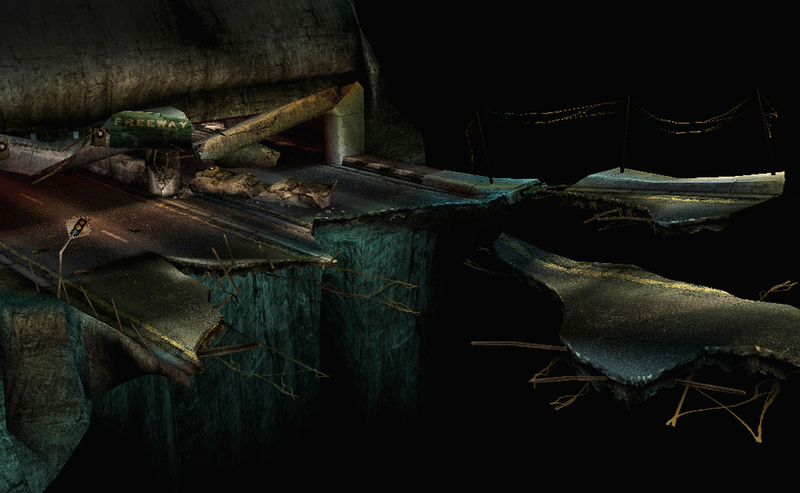 Main role as environment artist was to create and texture level geometry, props, smashable objects and effects. They were of a particular style and were created from scratch. I worked closely with the programmers to create custom blend editors which were used to texture the main environment geometry. I created the first test level and was a major part in the creation of the VSD (vertical slice demo). 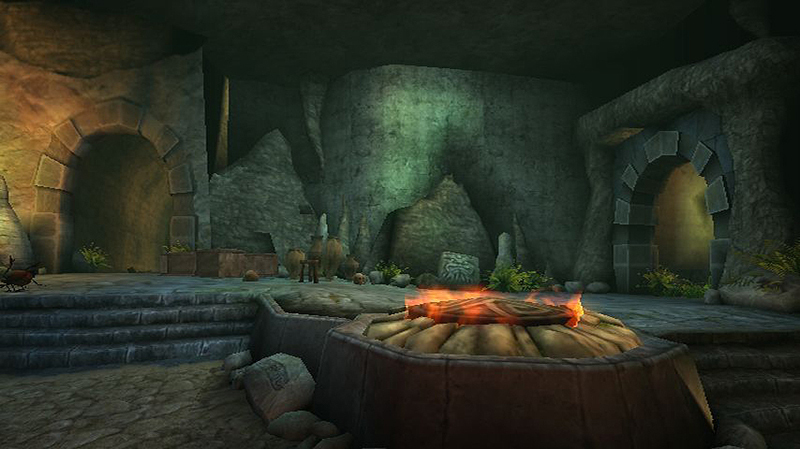 All levels were assembled in Renderware from terrain geometry and assets to form a good composition. I then added environment effects and lighting. After the VSD, I created a large portion of the levels in Overlord as well as training a junior artist up to the same standard. These images show just some of the levels I created myself. Silent Hill: Origins (2007). My main role as environment artist was to build the external city areas, many key areas and the dark-side twisted horror levels. I created the first dark levels which were styled in the typically famous Silent Hill fashion of twisted metal, rust and blood stains. All the dark levels had to be created to show some memory or guilt from the story. 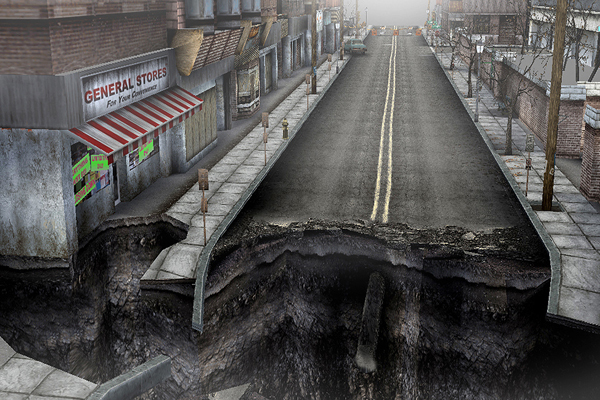 The city levels had to be textured with a bleak melancholy feel. Levels were split into PVS sections and then imported into Renderware. Once key levels had been made, they were then sent off to outsource companies to follow the style and create variation levels which i also managed. These images show just some of the levels I worked on myself. Silent Hill is currently rated 8.4 on IMDB (PS2/PSP). Ghost Rider PS2 and PSP (2006. )I was one of a small team of environment artists that each had a zone to create. All the zones had many linked rooms which were either internal or external and they also had a bike level connecting to each zone. I worked on some of the most technically complicated levels like the wild west train level which you had to fight a boss on top of a train. 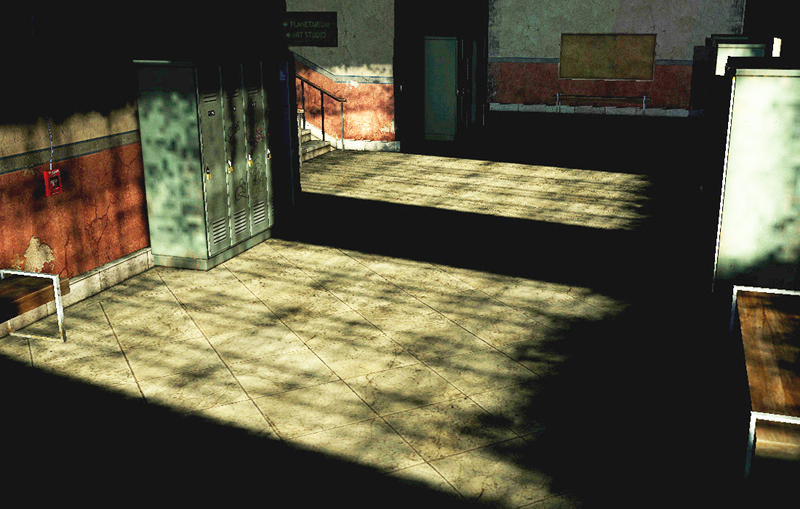 All levels were modeled and textured from scratch. One level as shown below is the bar area. This I modelled and textured from scratch using pre-release shots of the film as reference.The levels had lighting baked in to vertex lighting. Here are a mixture of old and new things. Firstly, Serious Sam (2002). I was a core environment artist on the original Gamecube version. Although it is very low poly due to the nature of the game (hundreds of enemies), the texture style was designed to be over the top and stimulating. These pictures show just some of the levels I created. I also was awarded an Employee award for my texture work. There is a skull I created from scratch entirely in Zbrush and a personal project of mine to recreate photographs of around where I live. This is more of a challenge than creating something from imagination. Lastly a small game I worked on as a lead artist called Gormiti where I created all the key levels myself and also finished other duplicate levels that were given to outsource companies and other artists that I also supervised or directed.